Clean the sealing surfaces and remove all remains of old sealing compound material. Apply sealing compound to the shown areas (1) and (2). Refer to Adhesives, Fluids, Lubricants, and Sealers. Install the NEW engine front cover gasket (1). Install the timing chain. 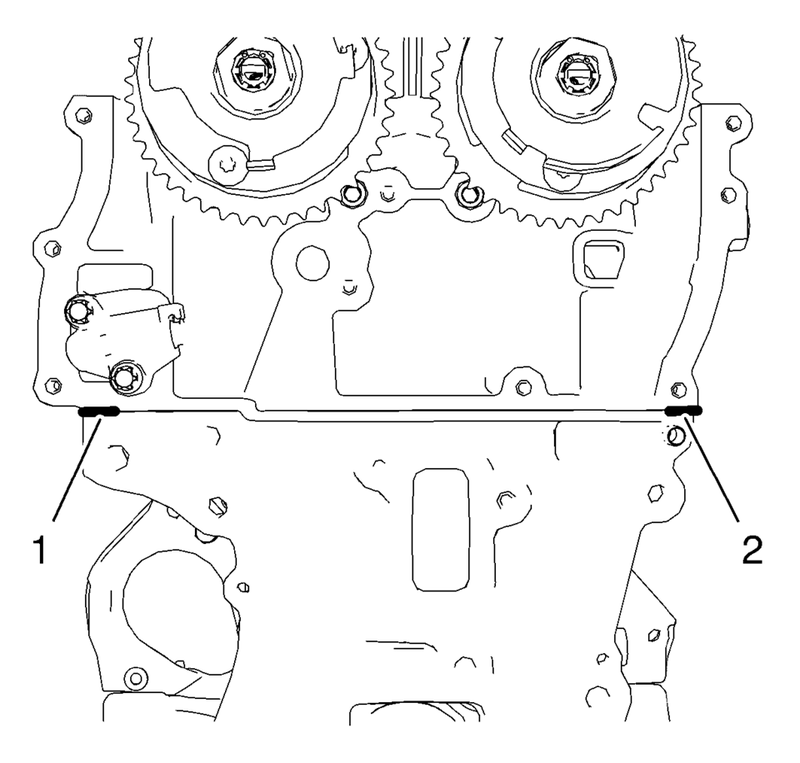 Refer to Camshaft Timing Chain Installation. The complete installation procedure should not take longer than 10 minutes. Install the engine front cover. 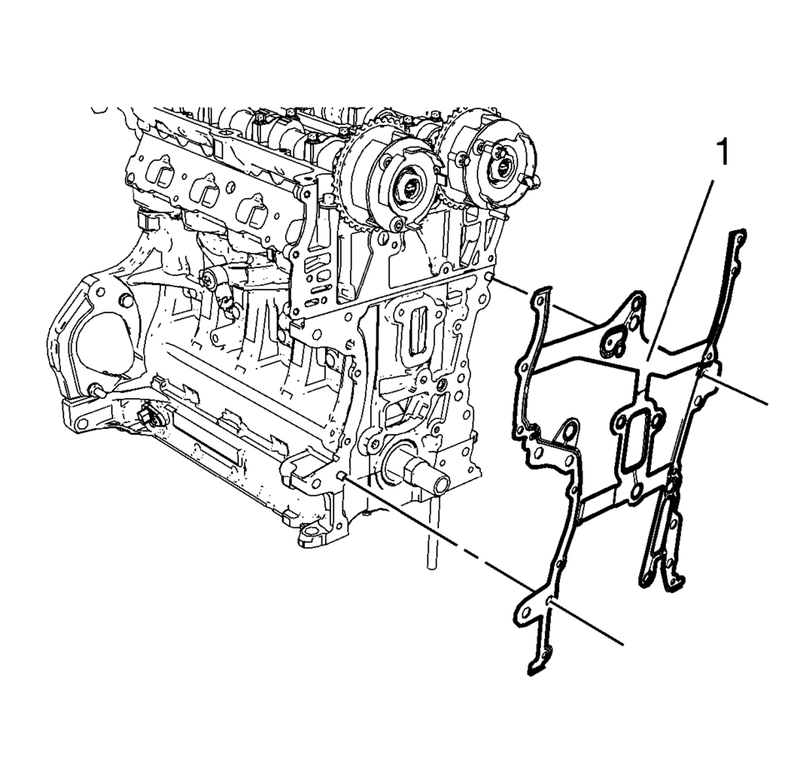 Refer to Engine Front Cover and Oil Pump Installation.